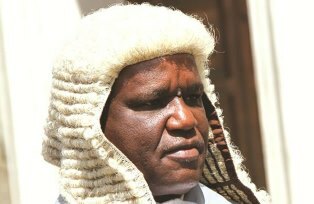 HARARE – The public is getting frustrated by the drive against corruption which has become more about creating media hype and less about nailing the suspects, Chief Justice Luke Malaba has said. Speaking at a Judicial Service Commission (JSC) workshop in the capital yesterday Malaba said cases of corruption must be dealt with decisively by the courts, further noting the crime has negative implications on the economy. This comes as President Emmerson Mnangagwa has said he was taking his campaign against rampant government corruption to a new level when – after years of blunted attempts to end graft – he recently decided to take down former high-ranking Cabinet ministers. But there have been no high-profile convictions since he took office even though Mnangagwa touts his anti-corruption campaign as the boldest and most serious that Zimbabwe has ever experienced. This comes amid concerns that investigators are failing to build up watertight cases before calling the graft-accused in for questioning. Malaba said remanding and postponing is not the core business of the courts; but to protect justice and to flush out criminals. “We have been laundering criminals. Excitement and expectations are being made in the media but then things start to happen. Bail is granted then it is remand and remand and remand,” a straight-talking Malaba said. “After sometime, nothing about the cases is heard and this benefits the criminal. All the system has done is just to facilitate the laundering of criminals until the criminal becomes a clean citizen. “Let us not be placed in the roles of facilitating the laundering of criminals. The chief justice said economic development cannot be expected without rule of law. “Corruption is an anti-thesis of the rule of law. This fight is no light fight; it’s a fight we must bear. If we don’t, there will be no foreign direct investment. “People do not invest in a country where there is high corruption; they know their money will go into people’s pockets,” he said. Adding; judicial officers must be able to understand the intricacies of dealing with corruption cases. “You are not there to be influenced by the status of the person before you; you might have known him as minister so and so. You don’t have to think of the person but the allegations of misconduct against the person before you. The chief justice said corruption undermines the confidence of a judiciary officer and acknowledged that this crime is an international problem. He called on magistrates to pass appropriate sentences where an accused person has been properly convicted of corruption. Malaba said the sentences imposed by the courts must reflect the government and society’s expectations on the punishment meted out to offenders. “Who are you protecting? Once you convict people of corruption, we expect to see sentences that are sufficiently severe to send out a message that crime cannot be tolerated. We want courageous magistrates,” he said. The chief justice said threats and intimidation are part of the job in which officers must remain firm, adding that he is expecting positive results in the next 18 months. He said more specialised courts are expected to be created in all provinces, where he will appoint “youngsters” to deal with cases of corruption. Justice, Legal and Parliamentary Affairs Minister Ziyambi Ziyambi said the fight against corruption is one of the key objectives of the new dispensation, noting that Mnangagwa is in full support of the JSC. Ziyambi said fighting corruption is central to the goals of the new economic blue print, the Transitional Stabilisation Programme (TSP). He said government is aware of remuneration issues of magistrates and is working flat out to address them. The minister encouraged the investigations department to do a thorough job so as to enable magistrates to adequately deal with corruption cases. The two-day JSC workshop is focused on training magistrates on dealing with cases of corruption which is viewed as one of the biggest threats to the resuscitation of the economy. Various stakeholders including the Zimbabwe Republic Police (ZRP); Zimbabwe Anti-Corruption Commission (Zacc) and the National Prosecuting Authority (NPA) were present to deliberate on the subject. Well said judge. Walk the talk. We want to see all the millions of USD Chiri is discovering misappropriated by present and past ministries being recovered up to the last cent in cash or kind as soon as before 2019.